Increase Brand Awareness, Drive traffic to your site, Generate Leads and Sales! Online Digital marketing is helpful for all kind of businesses, it does not matter what your company sells or manufactures. If your website does not appear on major search engines like Google, there are high chances that you are missing incredible business opportunities and loosing prospective buyers. Digital Marketing involves creating valuable online content and building out buyer personas to identify your audience’s needs. New Era's Online Marketing team helps you in your business growth by promoting your website on various Online Marketing Channels e.g. Google search, Yahoo Search, Bing Search and on popular Social Networking Websites like Facebook, Twitter, and You Tube. Not only New Era's team do online promotional activities for your website but do content writing, blog management. Advantage of Digital Marketing is that - you can see the number of people who have viewed your website’s homepage, devices used by the visitors to access your website, visitor's location etc in real time with the help of Google Analytics. Search Engine Optimization (SEO) : Optimize your website to ‘rank’ higher in popular search engines like google, yahoo, bing etc. results pages, to attract the free traffic towards your website. SEO is an unpaid/ free while Search Media Optimization(SMO) is a paid search listing for gaining traffic for example Cost Per Click(CPC) or Pay Per Click(PPC). Content Marketing : To generate Brand Awareness, Increase online traffic on the website, to attract more customers we write Blogs, manage those and do content writing for your website. 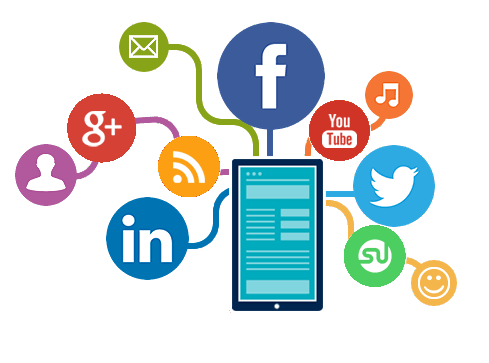 Social Media Marketing : We promote your website, your brand and your content on popular social media channels to increase brand awareness, drive traffic, as it helps in lead generation for your business. Pay-Per-Click (PPC) :Traffic is drived to your website by paying a publisher eg Google every time your advertisement is clicked by any internet user. One of the most common types of PPC is Google AdWords. Affiliate Marketing : Performance-based advertising where you receive commission for promoting someone else’s products or services on your website. Here you share your website space with others. Email Marketing : Companies use email marketing to promote events, content, discounts and to direct people attention towards the website to generate business. Online PR : Online PR is the practice of securing earned online coverage with digital publications, blogs, and other content-based websites. Create buyer personas to identify your audience’s needs, and creating valuable online content. Blog posts works well to increase organic/free traffic when done along with with a strong SEO and keyword strategy. Info-graphics and videos need to be attractive as it can be shared by social media websites visitors and your product or services market expands and you get new website vistors which turns into your buyer if they like your product or services. In case of any enquiry or feedback.